This article is part of our special report Pharma innovation. Instead, healthcare systems, which are under pressure from an ageing population and increased prevalence of chronic disease, should be re-oriented towards delivering health outcomes rather than interventions, Moll added. 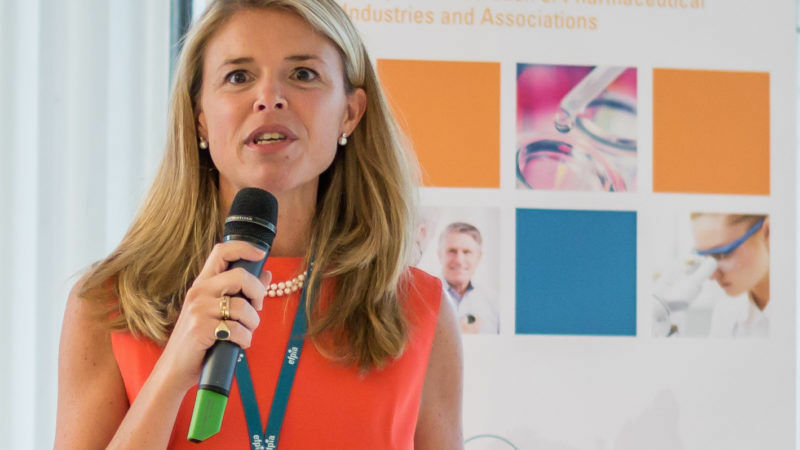 Nathalie Moll is the Director General of the European Federation of Pharmaceutical Industries and Associations (EFPIA). She spoke with EURACTIV’s Sarantis Michalopoulos on the sidelines of the European Health Forum in Gastein. Last June EU health ministers asked the Commission to come up with a report regarding the reexamination of incentives for the pharma industry. Could this impose a potential threat to innovation in the pharmaceuticals sector? Incentives are the foundation on which all medical innovation is based. It’s what gives investors and innovators the confidence to take that moonshot, open up a new treatment pathway, deliver the next piece of incremental innovation then navigate the long, complex and risky road to bring a new treatment to patients. It’s about giving assurance to innovators that their often huge investment in developing a new treatment is protected. That their innovation can’t be copied by people that have undertaken none of the risks, none of the years of research, none of the frustrations and failures along the way to develop a new treatment. Without incentives, innovations stop. New options to treat diseases like dementia, diabetes and cancer stop. De-value it and you risk the 33 billion investment in research and development moving away from Europe to regions that value, and are competing for, the knowledge-based economy. Policymakers aim to change some aspects of the intellectual property, such as the Supplementary protection certificates (SPCs). Even one month more of IP protection is crucial for the pharma industry, but it’s crucial for policymakers as well. The European framework of incentives is an interlinked, package of measures that work together to protect innovation and drive research to areas of unmet medical need. Devalue any aspects of the framework and it has a negative impact on innovation and makes Europe a less attractive place to innovate. For example, SPCs were created to make up for the incredibly long development and regulatory processes medicines go through. Out of the 20 years patent protection, less than half of that will be with your medicine actually on the market. The SPC is an attempt to replace some of that time lost up to a maximum of 5 years. It is a tool that is delivered on a case by case basis in a very careful manner and that can be challenged and is challenged on occasions. It is not just an automatic system. As we see other countries and regions adopting SPCs and strengthening incentives, it says to me that the importance of incentives in protecting innovation and attracting research is well recognised. What is your opinion about the generics’ claims about the manufacturing waiver? An SPC manufacturing waiver would be detrimental to innovation, to research and development in Europe and to the economy as a whole. It would be sending a concerning signal about the EU’s respect for and seriousness about building a knowledge-based economy. This would also be at odds with the block’s trade policy, in which the EU has consistently argued against localisation policies and in particular against using IP tools to favour domestic production. There are also potential export losses to European originator companies resulting in a drop in export value for the EU. Several studies have shown that any potential benefits to European generic manufacturers are minimal. The window of opportunity for exporting European generics to non-European markets prior to European SPC/patent expiry is often quite limited, as loss of exclusivity would either be earlier or not significantly later than SPC expiry in European markets. In contrast to the development of a knowledge-based economy, any potential benefits are also likely to be short-lived, as an SPC waiver would certainly encourage other 3rd/ potentially importing countries, which are more competitive from a manufacturing perspective, to take similar measures, negating any benefit for generic manufacturers and the economy in Europe. If you are manufacturing for export into less developed countries, say India or China, the experience even our smaller companies have had is that they don’t stand a chance because the local producers are in that market at very competitive prices. So we need to carefully examine all the claims to see who a waiver would really benefit. As a representative of the pharmaceuticals sector, what would you advise EU countries to do in order to save costs, instead of focusing on drugs pricing? According to OECD figures, medicines costs represent around one-fifth of health system budgets and salami-slicing one of the only elements of healthcare budgets that are subject to rigorous value assessments is not going to make healthcare systems under pressure from an ageing population and increased prevalence of chronic disease more sustainable in the future. By re-orienting healthcare systems on delivering health outcomes, rather than on delivering interventions, many stakeholders, including EFPIA, believe that we can put healthcare systems in Europe on a more sustainable path. By determining exactly what type of intervention brings the best health outcome for each patient, and directing our resources to those specific measures facilitates better health outcomes and quality of life for patients. By eliminating spending on ineffective interventions, a focus on outcomes can free up the resources required to address the healthcare needs of an ageing population and fund those innovations that deliver positive results for patients and value for systems. The potential for waste reduction is significant. It is estimated that 20% of healthcare spending is currently wasted on ineffective interventions. Again, it requires new ways of working, greater collaboration and is predicated on a data infrastructure that can capture and analyse healthcare data to help identify waste. System-wide change takes time but there are many fantastic examples of this happening across Europe. Here in Gastein, we were calling for a conversation across all actors in European health care to look at healthcare spending as a whole, to optimise who we use our resources to deliver the most we can for patients. Considering the complicated decision-making procedures that currently exist at EU level, what should be done in order for eHealth solutions to take centre stage in the discussion? How can it be taken from theory to practice? There is a lot that can be done to help Europe realise the potential of eHealth and healthcare data both in terms of research and shaping patient care. Standardising definitions of outcomes, developing standards for collection of data, ensuring interoperability of systems and consistent implementation of the data privacy legislation across member states to name a few. 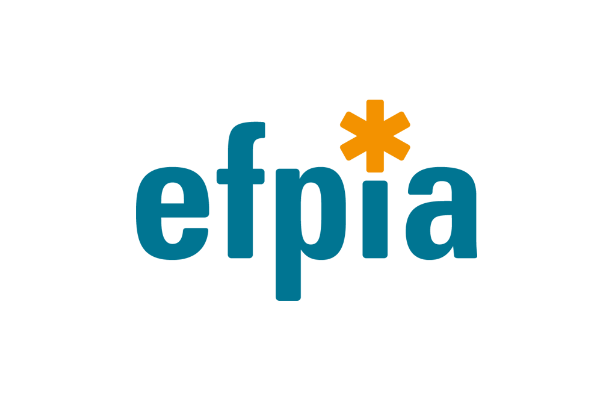 There are a number of very practical examples where EFPIA and its members are engaged in helping create the infrastructure to help realise the potential such as the IMI Big Data for Better Outcomes project or the European health data network that brings together secondary care sites across Europe to work together and pool their data in a standardised way so it can be analysed. But the point is that this value-based approach using real data, the industry is trying to push for it in order to justify its innovation. But can the member states play a role in this? Developing value-based approaches to healthcare that deliver more for patients and realising the potential of healthcare data are not industry initiatives. They are critical for the whole healthcare community as we try and address the challenges presented by an ageing population. Member states and the EU can play a vital role. For example, EU structural funds that are focussed on innovation could be used in countries to make sure the data collection capacities in hospitals and other places are geared towards collecting real-world evidence. Many member states are driving the change to a more patient outcomes-focused approach predicated on the use of healthcare data. As an industry, we are part of this dialogue and are keen to play our part. But really this is about system-wide change, learning from the fantastic examples of best practice we see emerging across Europe. One last question about the EMA relocation. The European Commission has made its assessment regarding the different needs, now it is up to the member states to decide. This could result in a political decision as well. Do you fear that a political decision would disrupt the drugs market in Europe? You are right, the future location of the EMA is a decision for the member states to make. It has to be based on supporting the continuity of the Agency’s critical functions, its ability to retain staff and access to expert networks. Basing the decision on right criteria is vital for the EMA and for the public health of citizens across Europe.